Here's a picture of Floyd walking home from a friend's house. Yes, those are the real colors of the trees. 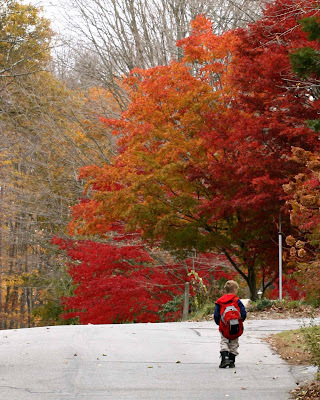 What a glorious display of colour and I love how his knapsack matches the leaves.